We are always trying to bring the world into our school. We are a world schoolers at heart, and while we do travel, though not nearly as much as I would like too, we also do a lot of virtually traveling. Now that the world is so accessible to us, it is a lot easier to virtually travel with our kids… visit museums all over the world, listen to tours all over the world, there is a lot out there. One resource that I have been having a heap of fun with, with my youngest three is the Case of Adventure. A while ago we won the Case of Adventures first book, The Cuckoo Clock, and adventure that takes a homeschooling family of five from Cape Town to Switzerland. What starts as an exciting discovery quickly becomes a wild quest as the five children go on an adventure uncovering history and treasure, as they work together to solve the puzzle. The story is great but there is more, the resource pack that you can purchase with it is incredible. Everything you could possibly need for a virtual adventure. The printable pack of pure fun, we didn’t dive into it at first we just looked at it and loved it… but this year we have totally gotten into it… the resource pack comes with a travel starter pack… everything you need to get your journey going… travel documents, codes and ciphers, airport signage, maps and paper money… this is a well thought out project, by a mom who knows how to stir up her kids curiosity and who believes that play is learning. Homeschoolers and non-homeschoolering children who are into adventures and discovery will love this. 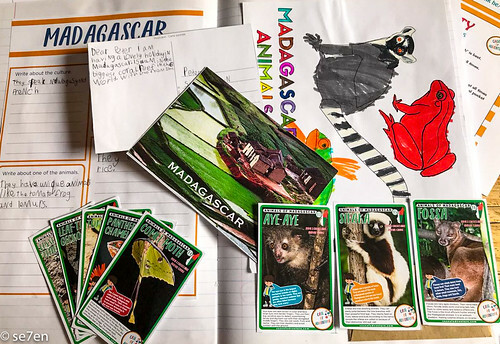 We were so excited recently to discover that a podcast was beginning… Countries for Kids, and the first country is Madagascar. 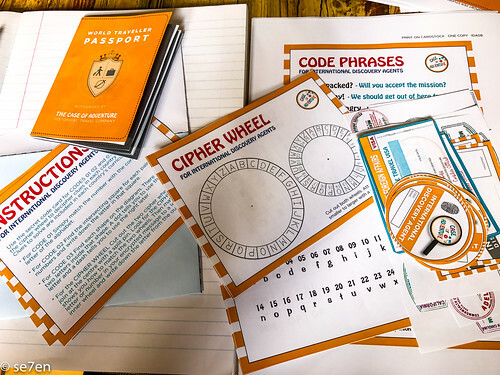 Along with the podcast is a free printable pack… with everything you can think of: maps, money, flags, postcards, word searches and crosswords, animal cards. There are things to fill in, but just enough for the minimalist writer not to think there is too much writing and just enough to make you feel like you have been on an adventure. 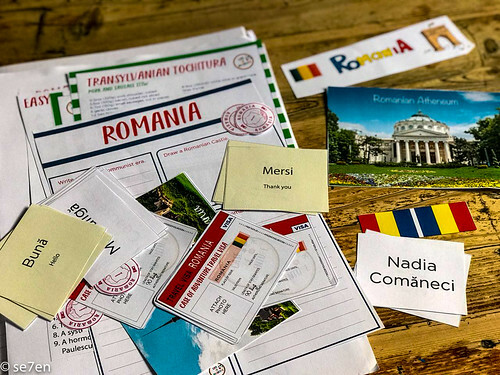 The second podcast in the series is all about Romania, and it’s activity pack you can also download for free. The activity pack has recipes, vocabulary cards, visas, and all the goodies you will need for the most committed virtual traveler. There is a new book, A Clash of Swords, set in Scotland that launches this week. We are looking forward to this like you cannot believe. You can scroll down this page for a sneak preview over here and if you would like to enter the GiveAway, then head over the Case of Adventure Site. You could win a copy of Destination Scotland over here… but today is the last day to enter… so if this sounds amazing to you… dash over there and enter. And if it is something you just want to try out for free first then head for her podcasts, try them… my kids love them. 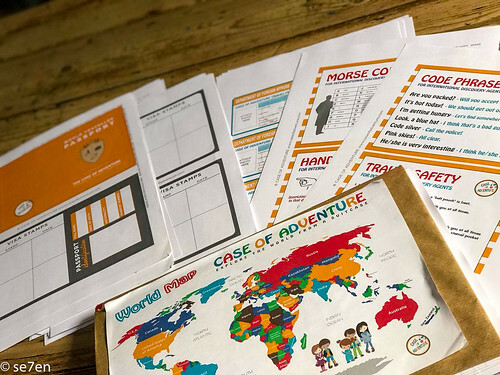 This is how the Case of Adventure works, there are two fabulous chapter books in the series and their complete activity packs are available to purchase, and their are two podcasts that you can listen to and their activity packs are free to download, just click on the link and head over to their website to explore. The second book launches this week and today 27 September 2017 is the last day to enter the Give Away for the new book… just saying!!! This is not a sponsored post, it is a community service post(!) really, it is a product we love and think you will as well. All opinions expressed are as usual our own. Thank you Se7en for such a great informative post!! I really appreciate it and Happy Birthday!! Hope it’s a blessed year! Thank you Karyn, all the best… really hope your book flies, we love traveling about with you!!! What an exciting way to bring the world into the classroom! 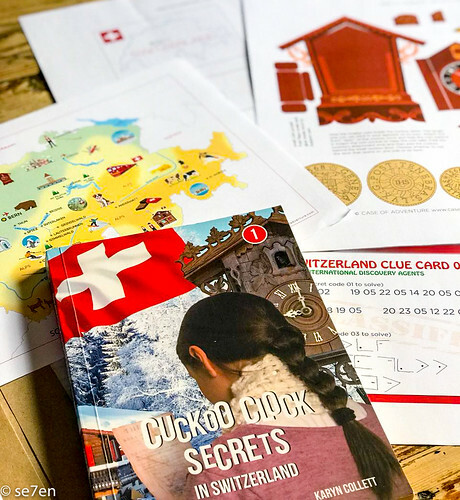 I love the idea of learning about the world through an exciting quest involving cuckoo clocks, which have a very interesting place in history and culture. Isn’t it great Leah, such fun way to learn and fascinating… not just for kids!!! Have a great day!! !